Thank-you so much for a very positive experience. I really appreciated your recognition that we are all different and have different needs, and the informative nature of our conversation. I felt relaxed the entire time and upon reflection wished that the treatment could have continued for a while longer. I don’t know if it was the soothing effect of the warm water, your careful attention to detail, or the fact that I realized that I was experiencing something that was beneficial to me; it all added up to time very well spent. Thank-you again for all that you did for me. 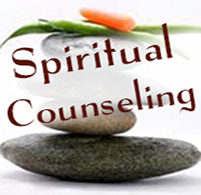 I made my first appointment with Mary for colon hydrotherapy at Natural Health Ministries two years ago. I had called several other places first and I didn’t get a good feeling. As soon as I spoke with Mary on the phone, I knew it was the right place for me. Her voice was very calming, and she answered all of my questions. I initially went for my digestive issues, but I have also noticed that my skin is clearer; I have more energy, and an improved sense of well- being. A healthy colon really does impact your overall health. If you are planning on getting your first colonic and have some apprehension about it, Mary will put you right at ease. Her experience, knowledge, sensitivity, expertise, and warmth make it a very positive experience. It is easy and painless. It simply involves cleansing the colon gently with water, allowing your body to release toxins. After my sessions, I always feel lighter, calmer, and more energetic. I would highly recommend having this service with Mary. She is highly skilled, kind, and passionate about what she does, and she truly cares about people to help them gain better health. I have had many, many massages over the past years with several different massage therapists and Kathleen is by far the best! I feel so fortunate to have found her at Natural Health Ministries. I get massages to release muscle spasms and tightness, as well as for relaxation. Kathleen knows just how to zero in on my pain generators and how to release and loosen my muscle tightness. I like that she lets you decide if you want to chit chat, or just quietly zone out and enjoy the therapeutic pampering. Her skills are outstanding, intuitive, and healing. She checks in with you during the service as well to make sure that the pressure is just right. I highly recommend Kathleen. She listens, she really cares, and she is truly anointed to do this work. She is the best in the business. When I leave I feel like I’m walking on a cloud. For me it’s not even a luxury. 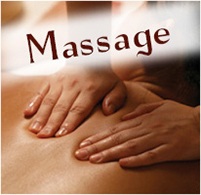 Having massages are a necessity to reduce tension and stress, ease sore muscles, and sore blood flow. 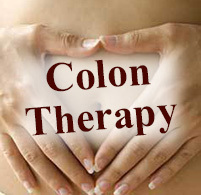 If you want to feel really amazing have a massage, and then right afterwards, have a colon hydrotherapy session. There are several things I can look back on and see the great benefits that Natural Health Ministries provided for me. The Homeopathic DNA Energy Testing reinforced the things I thought where going on. Helped me realize that I needed to get serious about my health. It was recommended I take my gallbladder out. I felt I was too young for that type of surgery. And there had to be another alternative. With the herbs recommended and the colonics I still have my gallbladder. Reflexology helped my back and neck. More than anything, mentally and spiritually I have been helped. The benefits I receive from my good massage is the reason I continue to return to Natural Health Ministries. With using the Dr. Christopher's Herbal Eyewash 3x a day combined with some Homeopathic Energy DNA Treatments, the eye pressure range for Glaucoma dropped 48 down to 13 and 32 down to 11. Great results. I had a chair massage the first time I met Kathleen from Natural Health Ministries. Since, I've had the deep muscle massages and they have worked amazing for my low back pain. I would highly recommend her service to anyone! The girls are the most caring, dependable, and accessible. I came at first in a kind of unbalanced state ~ bumping into doorways and the bruising easily. Now I no longer have that issue at all. My husband was suffering from nose bleeds and now no longer having these either. We really appreciate all Elaine has done for us with her guidance through out the years. We think this is the solution center.